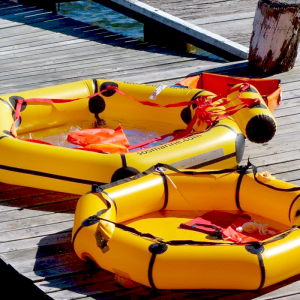 Topics about survival at sea and life-rafts. 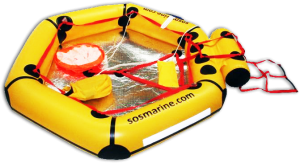 Manufacturer SOS Marine of Australia serves navies and military markets around the world. 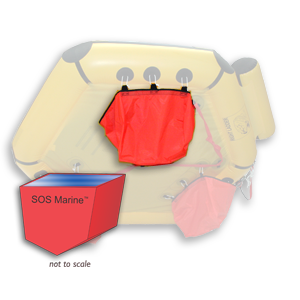 We distribute the SOS Marine 2 man coastal life raft in the USA; it is well–made with great features. 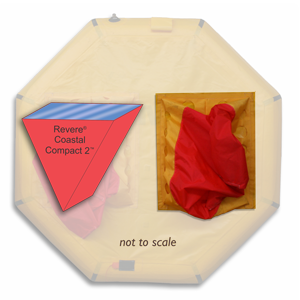 It is rated as a 2 man coastal life raft. 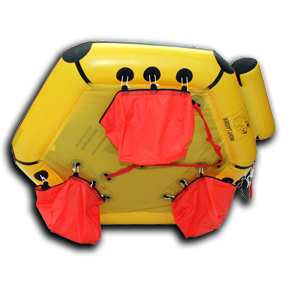 Ideal life raft for center–console boats in coastal waters. 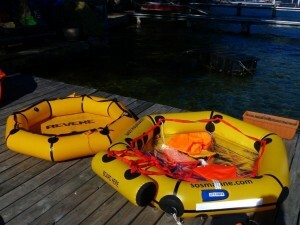 Comes with valise. 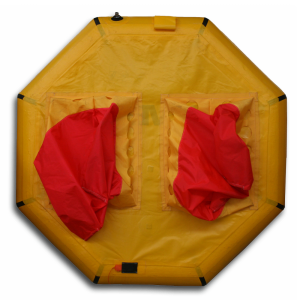 The thermal insulated floor helps protect you from hypothermia. Other 2-person coastal life rafts do not come stock with this feature. 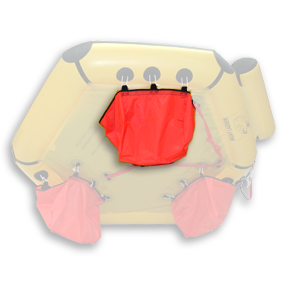 Even better, this raft is available with gear not offered with other coastal life rafts (see specifications). 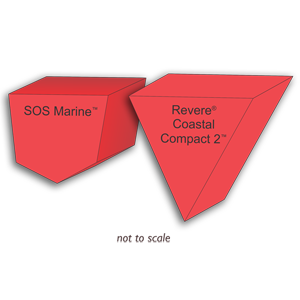 Click to specifications, photos or brochure. 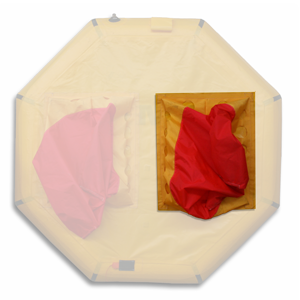 For aviation application, click to the aviation life raft for two persons.